G.S. Gelato & Desserts produces artisan, READY-TO-SERVE gelato and sorbet with absolute authenticity. It is with pride and passion that we dedicate our efforts to this centuries-old tradition. We use imported ingredients and equipment along with recipes and flavors to produce the most authentic Italian Gelato and Sorbet found in the United States. Gelato is Italian ice cream. Made with milk instead of cream, it has less air whipped in and is served at a warmer temperature than ice cream, yielding a rich and creamy texture with intense, mouthwatering flavor. Sorbet is just like gelato, but made with fruit and no dairy. It’s often confused with sherbert or Italian ice, but G.S. Gelato’s sorbet is so smooth and velvety you’ll have a hard time believing it’s allergen-free! 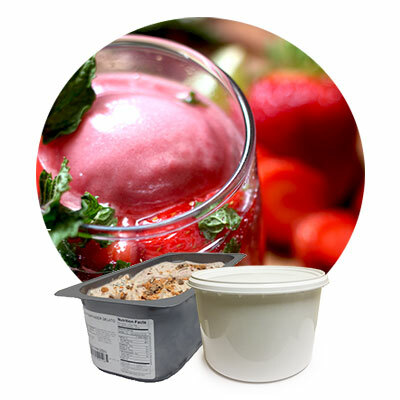 Our flavors come in easy-to-store foodservice packaging for back-of-the-house preparation. Perfectly enjoyed as a standalone dessert or paired with other drinks and desserts. Display cases are a great way to showcase flavors to guests who eat with their eyes first. 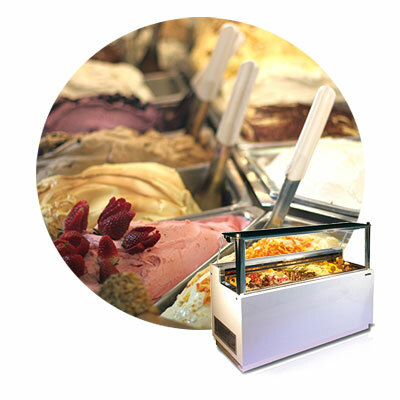 Our gelato display cases range from 2 to 24 flavor capacities.